The amended "Ballpark Omnibus Financing and Revenue Act of 2004" bill creates the DC Ballpark TIF Area from which shall be allocated to the Community Benefit Fund real property tax increment revenues and tax increment revenues. 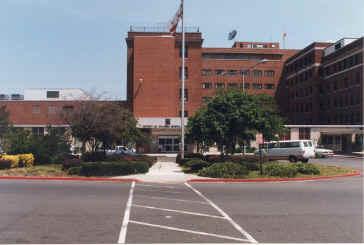 The TIF area is defined as the area bounded by South Capitol Street, I Street S.E., First Street S.E., and Potomac Avenue S.E. The bill also authorizes the issuance of one or more series of Bonds in a total amount not to exceed $450 million. Under the District's TIF program new, incremental sales tax revenues provide most of the money necessary to pay the debt service on TIF bonds. To accurately estimate the incremental sales tax revenues (and therefore the bonding capacity) that can be expected from a new TIF area, the components of new development in the area must be known. Without detailed plans on the types of businesses that will inhabit the area, the OCFO is unable to provide an exact estimate of the amount of increment available for debt service. Those detailed plans are not available at this time. In addition, based on experience in the area surrounding the MCI Center, it is expected that the new stadium will generate considerable development in the Ballpark TIF area. Thus it is reasonable to predict that the District will be able to issue $450 million in future TIF bonds based on new revenues from the proposed TIF area. In the meantime, I can certify the availability of $45 million from the securitization of a portion of the excess revenues in the Ballpark Fund. As soon as you identify the sources of $30 million that may be lawfully transferred to the Community Benefit Fund, my office will promptly perform the analysis to certify their availability or determine what, if anything, is necessary to do.